HOURS: Every day from 10:30 a.m. to 6 p.m.
SPECIAL OFFER: For two people, admission to the museum tasting of five wines to choose and cheese of the earth (12 euros two people). ADDRESS: Lugar de El Grifo s/n. 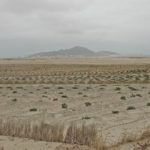 On kilometer 11 of the LZ-30 highway (1.8 miles [3 kilometers] from the Monumento al Campesino towards La Geria and Uga). 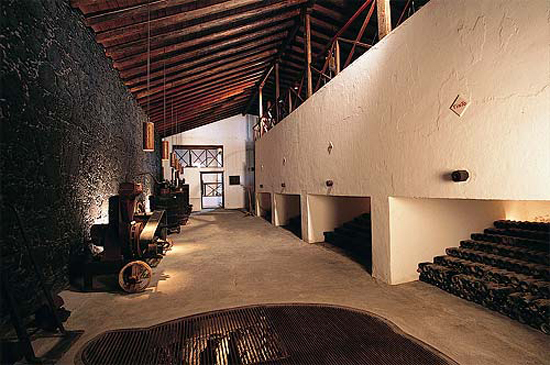 Museo del Vino de El Grifo [El Grifo Museum of Wine] is located in the old wineries built on volcanic rock in 1775. 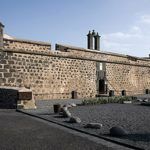 The building is pure Lanzarote traditional architecture, with thick volcanic rock walls and roofed with wooden beams that came mostly from the scrapping of ships. By itself, the building is a place to contemplate and enjoy. 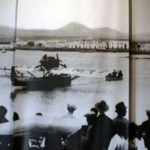 The visit proposed in the museum aims at paying homage to all the utensils that have extracted the best juices from the Lanzarote grapes. Among the different artifacts and winery machinery displayed there are some very odd pieces. 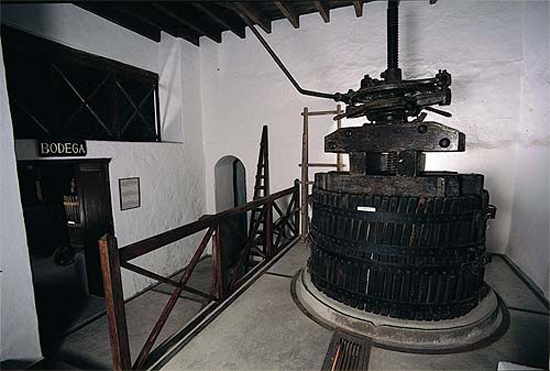 A shuffling pump of 1865, a corking machine of 1870, and the antique grape presses, an 18th century copper distiller, a very old ebullioscope and distillers, the sulphating and pulverizing machinery or the old press (see picture at the upper right) where they used to press the grapes. Visitors are given a general explanation about all the pieces, which are arranged by function, and about their importance in the production process of wine. Unfortunately what is missing is an explanation of how each of these pieces interconnected with each other, which would make the overall winemaking process easier to understand. One of the most attractive parts of the museum is the complete barrel-making workshop offered by Rafael Corujo de León (see top picture). The machinery and precise instruments used to make the barrels that will contain the future malvasia wine, as well as the crafty process to finish these reservoirs attract the visitor’s attention. 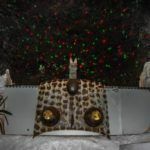 It is difficult to imagine the suffering hands of the artisans which very often must have gotten stuck in the machinery. It is also hard to believe how much patience must have been needed to leave a barrel in perfect condition… one barrel, one of the hundreds that can be found at Bodegas El Grifo. To cap off this visit there is El Salón de la Cata [The Wine Tasting Room] (see photograph on the right), where we can taste the wine or make a toast accompanied by some cheese. 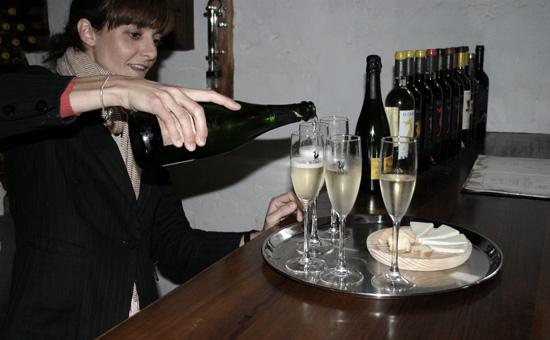 The enchanting place has that shine, that charm which invites you to take a delicious sip of dry, semi-dry or dry house Malvasia, the sweetish Moscatel, make a toast with the sparkling Malvasia Brut, treat your palate with a 1956 white wine… For a modest price we can enjoy different tastings. 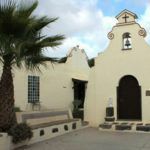 What to do before and after: Relatively close to this museum we can go for some tapas to Monumento al Campesino. 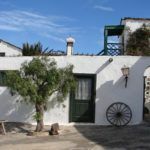 Visit Teguise or have a cup of coffee at Hespérides or at Cafetería Cejas, have lunch at Ikarus.